Jill and I decided to make homemade flour tortillas using a recipe from one of our favorite cookbooks, Flatbreads & Flavors. I always enjoy baking with Jill since she inspires me to try new recipes and techniques. Dave and I eat Mexican food often, and one of our favorite treats is homemade flour tortillas from our favorite restaurant, still warm from the griddle. I've thought about making my own tortillas for ages, but it just seemed like a big production while it's so easy to buy pre-made tortillas at the grocery store. Packaged tortillas are fine, but they're not fresh and hot-from-the-griddle delicious. I really had my doubts about this recipe at first. How can just flour, oil, and water--three of the most basic ingredients--be turned into tender, yummy tortillas. And how would I ever roll the dough thin enough! My doubts were totally unfounded--these tortillas are just as delicious as those at our favorite Mexican restaurant. And truly, this recipe is really easy to make. The dough is very forgiving and not fragile at all. And, with a little patience, rolls out beautifully. I plan on making tortillas again and again. 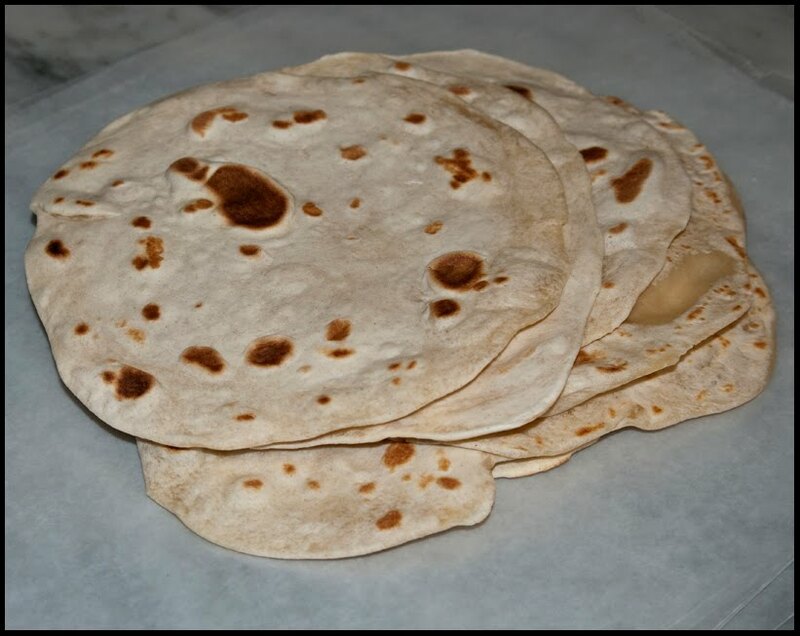 Please check out Jill's tortillas and her blog post to get the recipe.